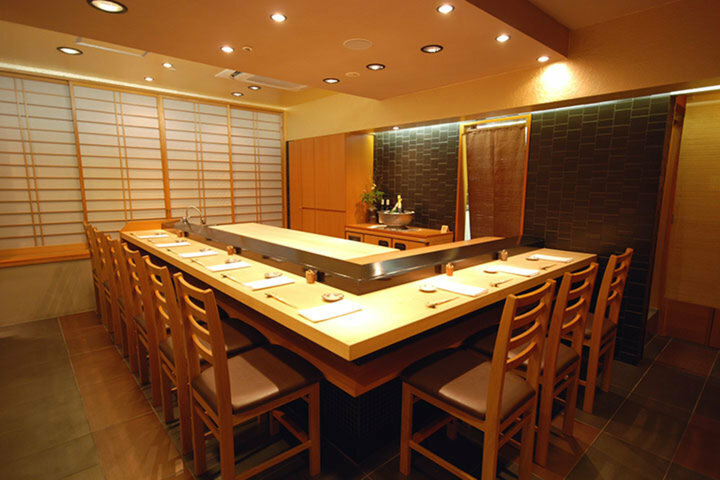 A reasonable sushi restaurant started by a well-established restaurant, Ginza Koju. 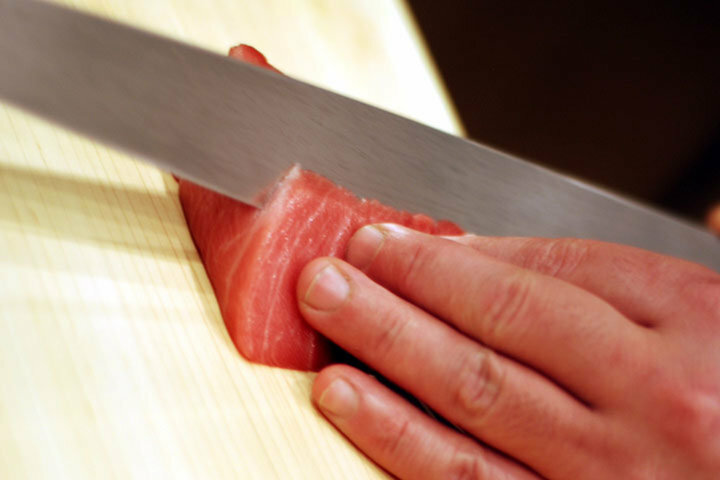 Ginza: a fierce battleground for sushi in level and in price. 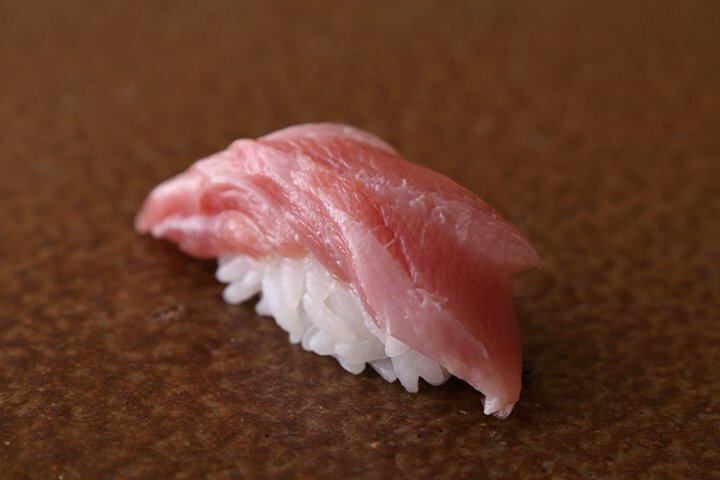 In an area where the average price is said to be ¥30,000, Sushi Harumi is a restaurant with a passion to serve delicious sushi at a reasonable price. It was started by Toru Okuda, the owner of Ginza Koju, so the quality is guaranteed as the peak of Japanese cuisine in Ginza. 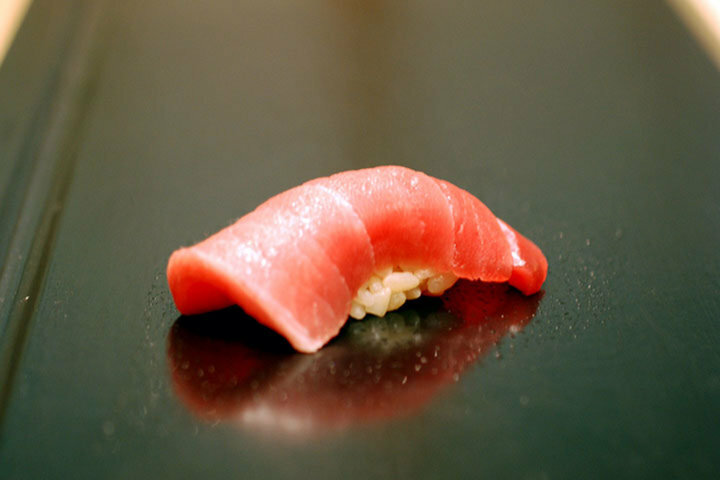 The head chef is Keisuke Yoshiya hoaned his sushi skills at a Chiba hotel for 9 years and a restaurant in the metropolitan area for 3 years. 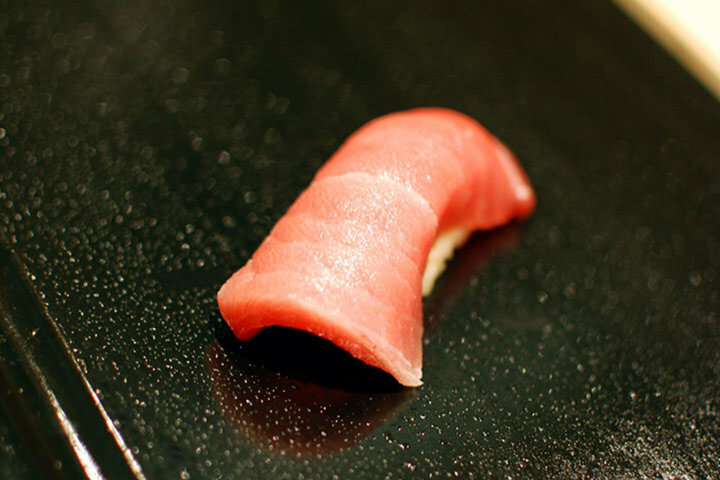 A reasonable price for a Chef's choice 10 nigiri sushi course is unheard of in a first class Ginza restaurant, but the quality is on par with other top restaurants. Sasanishiki rice (which has large grains and less sticky nature) is used with either red or white vinegar depending on the seafood used for the sushi toppings. Even during business hours, delicious rice is continuously prepared in order to serve it fresh for the customers as they come in. 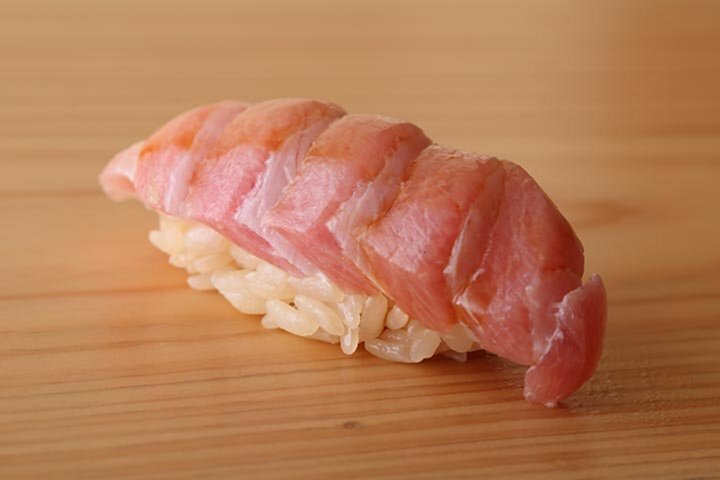 The top quality seafood is bought from Tsukiji, and Yoshiya excels at adding a little extra, such as sliced raw fish served with kelp, conger eel, and simmered clams, in preparing the sushi. Char-grilled seasonal fish is wonderful as an otsumami (appetizer). To be able to handle charcoal, which is said to be difficult because of how hard it is to control the temperature, there is a chef from Ginza Koju who is put in charge of it. The collection of wine and sake is also handled by a sommelier from Ginza Koju, and the lineup selected is changed periodically, to the satisfaction of alcohol enthusiasts. The interior of the restaurant consists of only 10 counter seats, with the counter made of clean cypress wood. 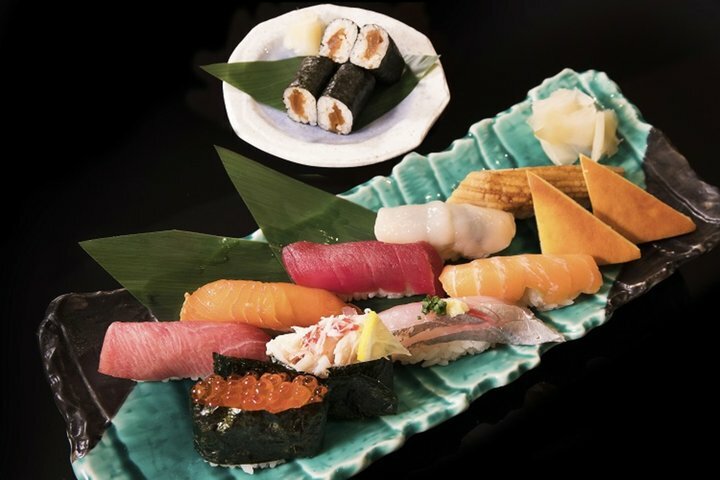 The sushi is placed directly on the counter by the chef, but because the counter is difficult to maintain, you will not find this in many restaurants in Ginza. 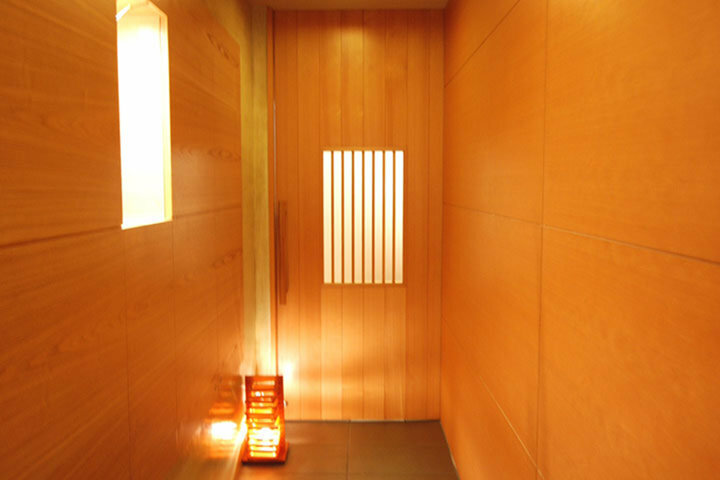 Like Ginza Koju, the dishes and wares used are karatsu-yaki and bizen-yaki crafts made by famous artists. Sushi, nibble, alcohol, hospitality, atmosphere - the harmony of these things in this hideaway restaurant is sure to delight guests who visit casually as well as those celebrating an anniversary or having a business dinner.